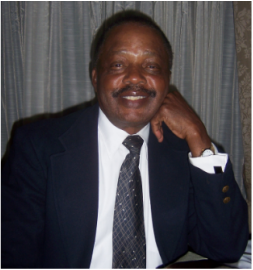 We, the children of Anthony Ihedoha Anaebere, Sr. are excited to offer this memorial scholarship in our father’s name. For many years, we have thought about how we can effectively give back to Nigeria and its diverse communities abroad in our own unique way. Most recently after the passing of our father, we collectively reflected on the many stories our father shared with each one of us, as well as the principles of philanthropy, “paying it forward,” hard work and diligence that he sought to instill in us. We thought it would be most fitting to create a scholarship fund that would spread and activate those same principles in the lives of others. We look forward to growing this scholarship fund over the next few years. It is our hope that by supporting an individual’s goal for academic and professional development we will be contributing to the advancement of the Nigerian community and most importantly the progress of the African diaspora. We hope this gesture will continue to encourage our fellow Nigerians in their academic pursuits, as well as meet a potential need for Nigerian-born international students who often face high education costs when studying in the United States of America. As our father taught each of us, it takes one small step, one purposeful decision to make a difference. We are grateful for the lessons we have been fortunate to learn from our father and we all hope to put those lessons into action, one small step at a time.